Romancing Kerala Bollywood Styles: Exploring Famous Bollywood Song Locations in Kerala! I am your quintessential Bollywood buff, living and breathing Hindi films. I am mesmerised by the exotic locations & alluring landscapes at which Hindi movie songs are shot! So as I planned a much anticipated vacation to Kerala, I secretly hoped to be able to experience at least some locations in Kerala where Bollywood songs have been shot. And oh boy! Kerala did not disappoint me at all. I got what I had hoped for and more. Mani Ratnam sure did justice to the enthralling views of the Athirapally waterfalls. 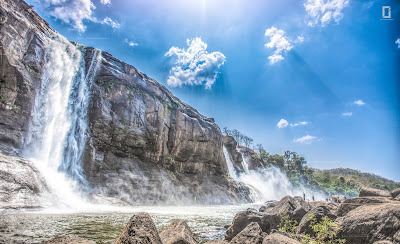 Located in the Thissur district of Kerala this 80 ft high waterfall has been nicknamed as the “Niagra falls of India’. Gulzar’s soulful lyrics combined with Rehman’s music just served to add to the beautiful visuals on screen. It was the first destination on my Kerala itinerary and was the perfect start to a much anticipated trip. Think of verdant green expanses, plush tea plantations spread sprawled across the horizon, winding lanes through a spread of green and you are visualizing the gentle slopes of Munnar. The song Kashmir main Tu Kanyakumari from Deepika and Shahrukh starrer Chennai express was filmed here. Stunning Deepika in bright sarees being serenaded by Shahrukh in the stunning landscape is truly a treat to the eyes. My experience at Munnar was sheer romance which was amplified by a room which afforded a view overlooking a pristine lake. 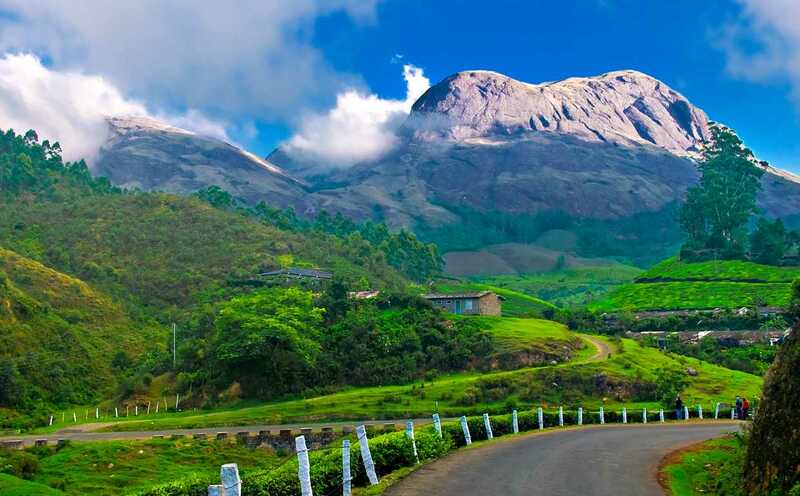 Munnar is a preferred destination for honeymoon packages to Kerala! 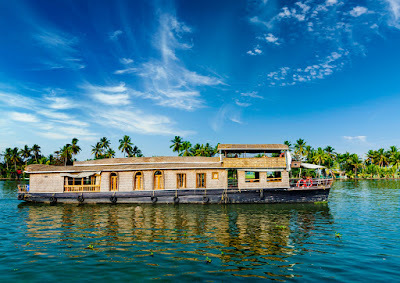 While a sizzling pair of Priety Zinta and Shahrukh Khan dancing to the beats on the houseboats did up the hotness quotient of Jiya Jaley; what added a distinctly ethereal feel to the song’s look and feel were the breathtaking picturesque Alleppey back waters. Our very own 'Venice of the east' with its serene backwaters and lush green banks is nothing short of a paradise. While on the personal houseboats here, away from the humdrum and noises of city life; the views of rustic village settlements and the wildlife on the banks and breathtaking sunrise and sunset views my husband and I were truly lost to the world and just immersed in the beauty around us. The two days I spent in Alleppey truly gave me memories of a lifetime. 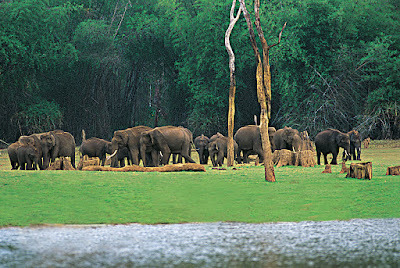 I'm looking forward to book an awesome Alleppey holiday now! Houseboats in Kerala! Something you will get in every houseboat holiday package to Kerala! Tu hi re the song from another Mani Ratnam movie Bombay is a hauntingly beautiful melody captured for posterity on celluloid in the tranquil environment of the Bekal Fort in Kasargod. This is one of my personal favourite songs and when I got to know that our itinerary in Kerala was so planned that I will get to spend one whole day here, my joy knew no bounds. 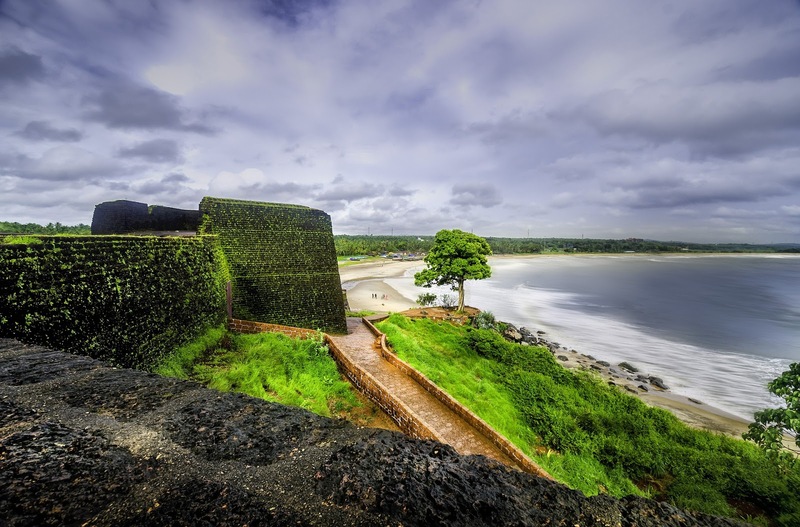 This is the largest fort in Kerala located on the serene Bekal beach. The song captures the beauty of the fort and its surroundings in all its monsoon glory. The scenes of the beach waves hitting the rocks and the wet greenery provide a perfect backdrop to a ballad of love and longing. Bekal Fort visit is a must on your holiday package to Kerala! As Bobby Deol and Manisha Koirala romance in this song, the backdrop is beautiful enough to distract you. 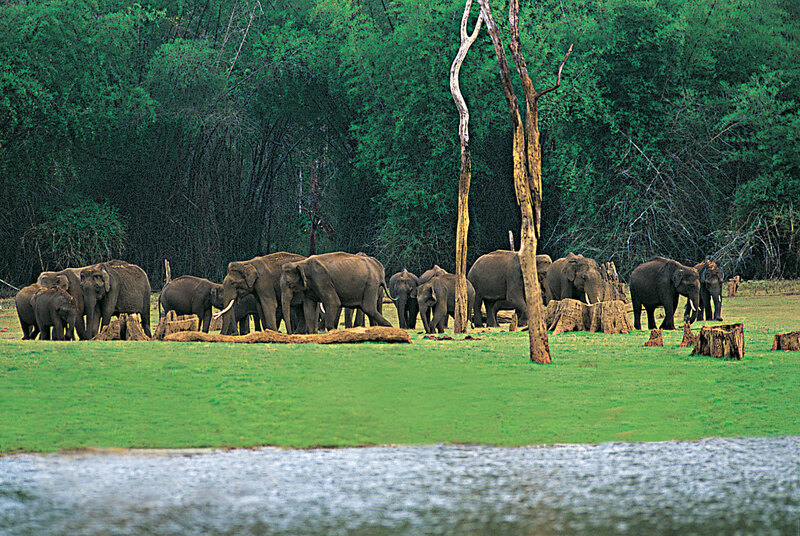 The location of this shoot was the Periyar Wildlife Sanctuary, in Thekkady. Clear blue waters of the Periyar Lake, a pristine bank, trees all around, hillocks in the distance; this seems to be an ideal location for a romance. I fell in love with Kerala on my holiday. I'm sure you would to. While browsing, I found a website where you can compare holiday packages to Kerala to get the cheapest price on your holiday package to Kerala since you're looking for the best holiday package! Look for your Kerala honeymoon package here!